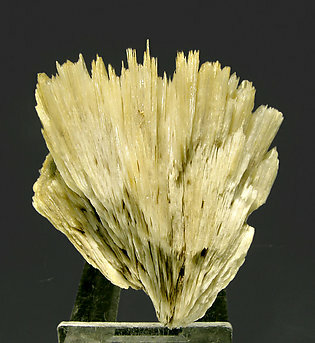 Aggregate of laminar very well shaped crystals with acute terminations in parallel growth. 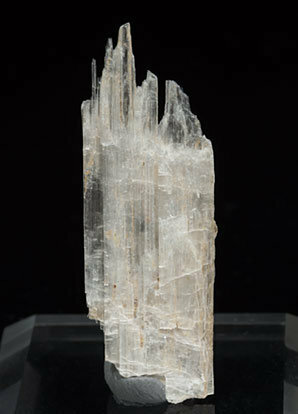 Eudidymite is a very uncommon species but characteristic of Mount Malosa. The sample has been analyzed and we’ll send a copy of the analysis to the buyer. Fanlike group of laminar very well shaped crystals. Their size is very considerable for the species. A magnificent sample of a very uncommon species. We analyzed the specimen and we’ll send a copy of the analysis to the buyer. 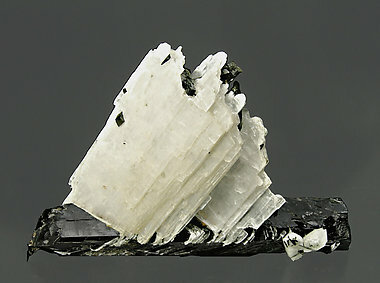 Eudidymite forms a parallel growth of delicate white and doubly terminated crystals implanted on a doubly terminated black crystal of Aegirine. 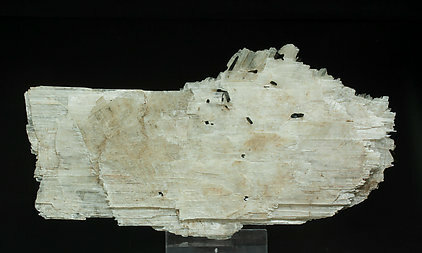 Aggregate of very thin laminar Eudidymite crystals that show very well defined contours, a more than considerable size for the species and with small and acute black Aegirine crystals. An excellent sample of a very uncommon species. The sample has been analyzed and we’ll send a copy of the analysis to the buyer.